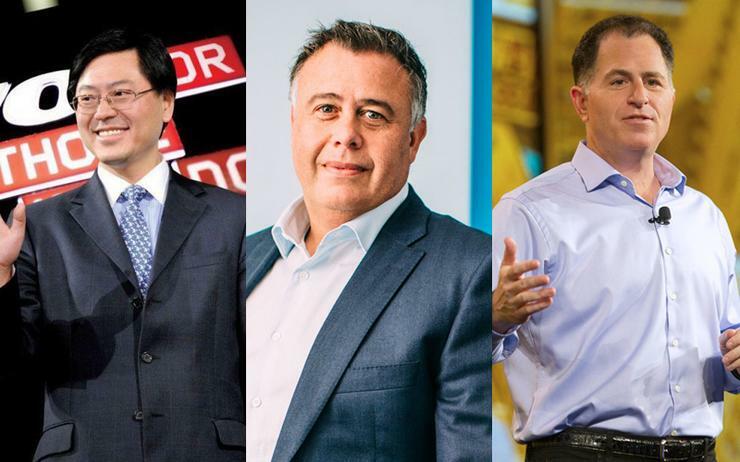 Lenovo and Dell increased share during the fourth quarter of 2018, while HP maintained, collectively accounting for 63 per cent of PC shipments, up from 59 per cent the year previous. According to Gartner findings, Lenovo surpassed HP to move into the no. 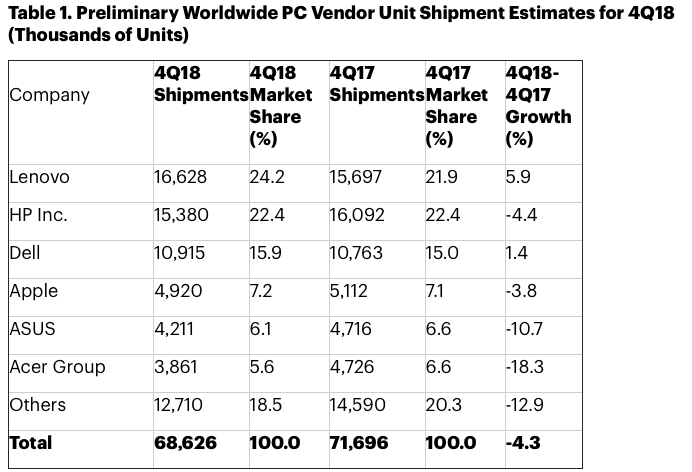 1 position in the global PC market in the fourth quarter of 2018. Kitagawa said Lenovo has recorded three consecutive quarters of double-digit year-over-year shipment growth, despite the stagnant overall market. On the flip side however, Kitagawa said the fourth quarter of 2018 was a “challenging one” for closest rival HP, with the tech giant experiencing a shipment decline after four consecutive quarters of growth, despite keeping pace with industry rivals. The jostling for position comes as worldwide PC shipments totalled 68.6 million units in the fourth quarter of 2018, a 4.3 per cent decline from the fourth quarter of 2017. Outlined via preliminary results by Gartner, 2018 PC shipments surpassed 259.4 million units, a 1.3 per cent decline from 2017. Kitagawa said there were signs for optimism in 2018, but the industry was impacted by two key trends. “Just when demand in the PC market started seeing positive results, a shortage of CPUs (central processing units) created supply chain issues,” Kitagawa added. “After two quarters of growth in 2Q18 and 3Q18, PC shipments declined in the fourth quarter. Globally speaking, this was the seventh consecutive year of global PC shipment decline, but according to Kitagawa, this was “less steep” compared with the past three years. “The majority of the PC shipment decline in 2018 was due to weak consumer PC shipments,” Kitagawa added. “Consumer shipments accounted for approximately 40 per cent of PC shipments in 2018 compared with representing 49 percent of shipments in 2014. Closer to home, the Asia Pacific PC market totalled 24.2 million units in the fourth quarter of 2018, a 4.6 per cent decline from the same period in 2017. “Due to uncertainties of the U.S.-China trade relations, and the volatile equity market, there was cautionary demand, especially among consumers and the SMB segment,” Kitagawa said.